The U.S. Hispanic market is a diverse blend of a number of cultures, influences and styles. Even so, Unilever is looking to tap into the overall demographic’s desire for self-expression and individuality with a new marketing campaign. The company’s “#100PorCientoTu” campaign is a social and digital effort that highlights influencers within the Hispanic/Latino community (such as celebrity stylist Leonardo Rocco, groomer-to-the-stars Marcos “Reggae” Smith, and model Denise Bidot) to share their personal- and beauty-care tips. Their efforts, which will include paid and native elements, will point consumers to a dedicated website, 100PorCientoTu.com, to learn about these influencers’ styles and tips. The campaign will feature examples and tips using products from Unilever’s broad portfolio of brands including Axe, Caress, Dove, Pond’s, Suave, Tresemme and Degree. “Latinos are highly connected online, and social channels are where they’re engaging with brands, through peer to peer recommendations or more likely sharing with their family and friends,” Trujillo says. In addition, the company is sponsoring a series of Latin music concerts across the country, beginning with Nicky Jam’s The Fenix Tour, which began earlier this month. 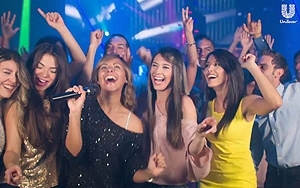 Though the U.S. Hispanic population can encompass a number of backgrounds and cultures, ranging from Mexico, Central and South America, and second- and third-generation naturalized families, Trujillo notes the effort taps into some shared passions — notably music and fashion — to appeal to a broad audience.